Mo Farah is looking to bow out of track competition next year before switching to the roads, including trying to “learn” how to run the marathon, the double Olympic champion has said. 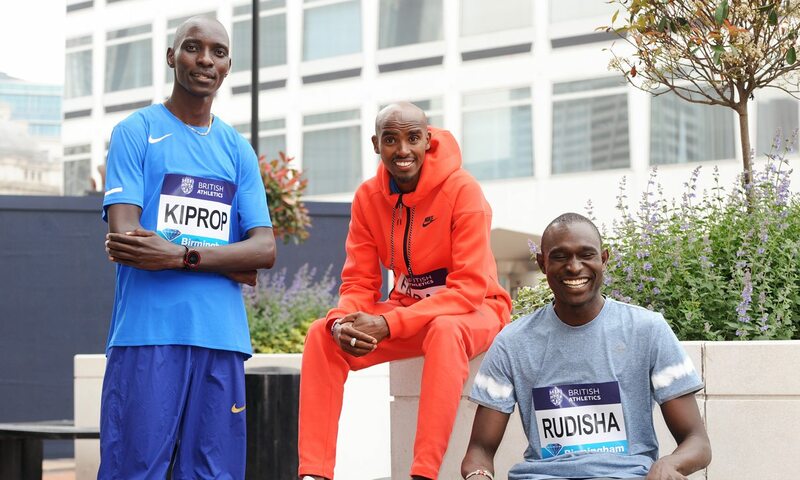 The British 5000m and 10,000m record-holder could add two more global track titles at next year’s World Championships in London, but as he would then be 34 he wants to then quit the track circuit to spend more time with his family. Farah ran 2:08:21 on his one and only attempt at the marathon in 2014 and has unfinished business at the distance. Speaking at the press conference ahead of the Birmingham Diamond League, he said he needed to “learn” the event. Farah began his track season in Eugene last month with a victory over 10,000m in 26:53.71.